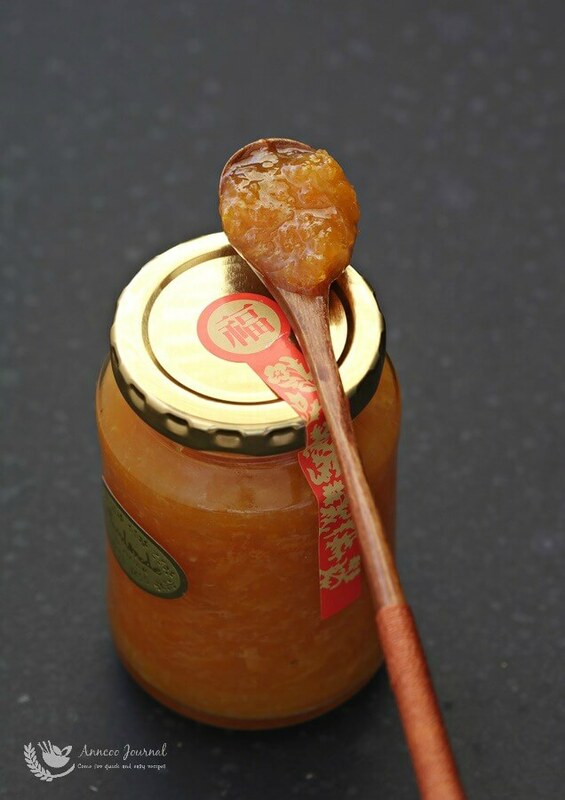 This mandarin orange marmalade is made from leftover oranges after our overseas guests left for their homes. So as not to waste these oranges, I adapted the recipe from Cheah’s blog, No-Frills Recipes with a little adjustment. I must say, this is a time consuming job that took me about two hours (because I wanted to use up all the oranges) peeling, cutting, and removing the membranes from the oranges – and only managed to get five bottles! 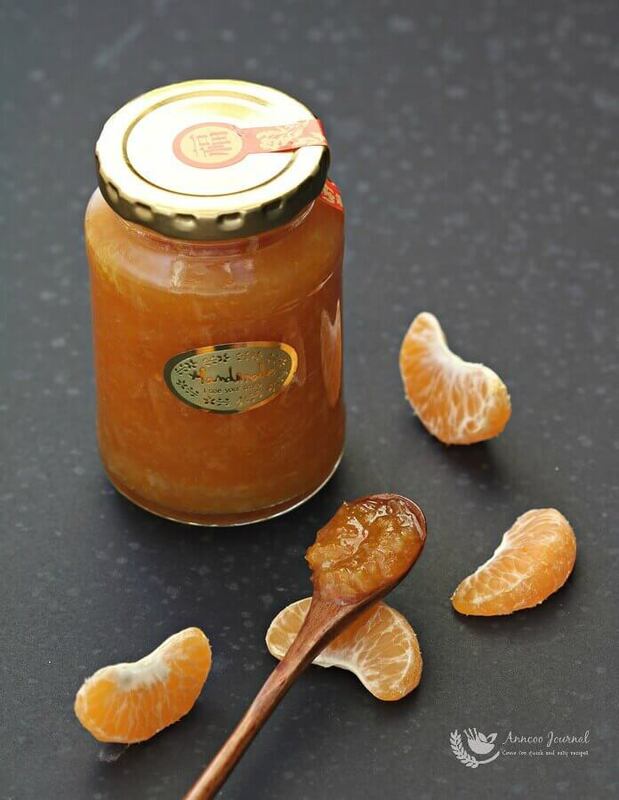 The mandarin orange marmalade still tastes a little bit bitter as the bitterness comes from the orange peel. Anyway, the feedback that I received was not bad indeed. Wow, it sure looks delicious. I never tried making marmalade before but after seeing your post, I have to. Thanks for the recipe! 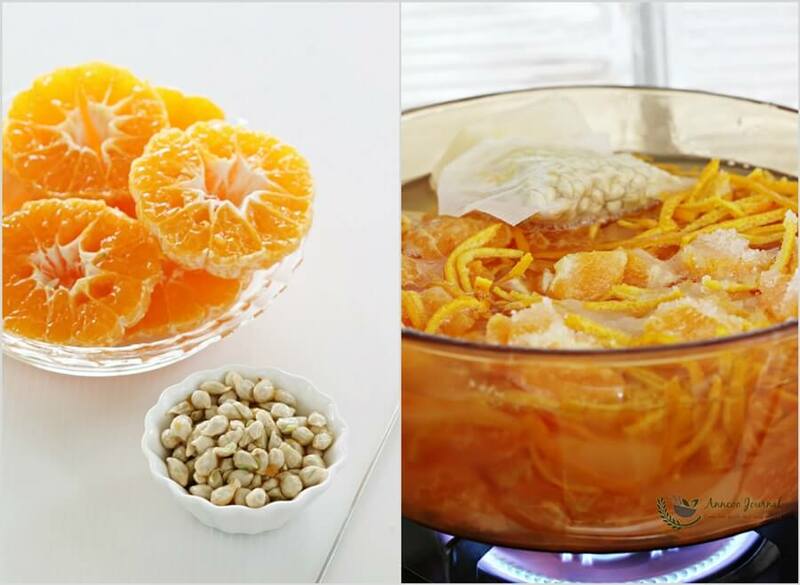 Hi Ann, I made this marmalade 2 days ago not with store bought Mandarin oranges. 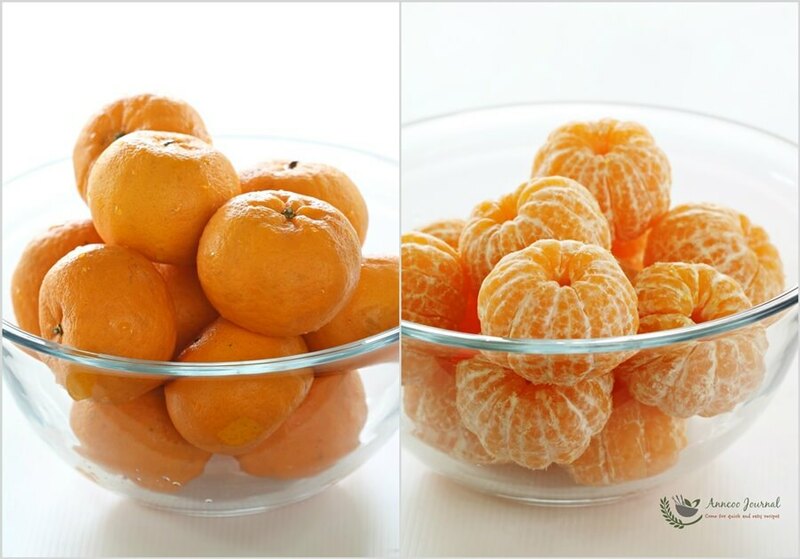 There was so much leftover mandarin oranges at my mum and mum in-law’s place. I helped them clear there stocks by making this preserve. Thanks again for sharing this timely recipe. hi, may I know how long will this jam last? About 2 – 3 weeks in the fridge. Homemade is the BEST! Your jam looks fantastic, Ann. 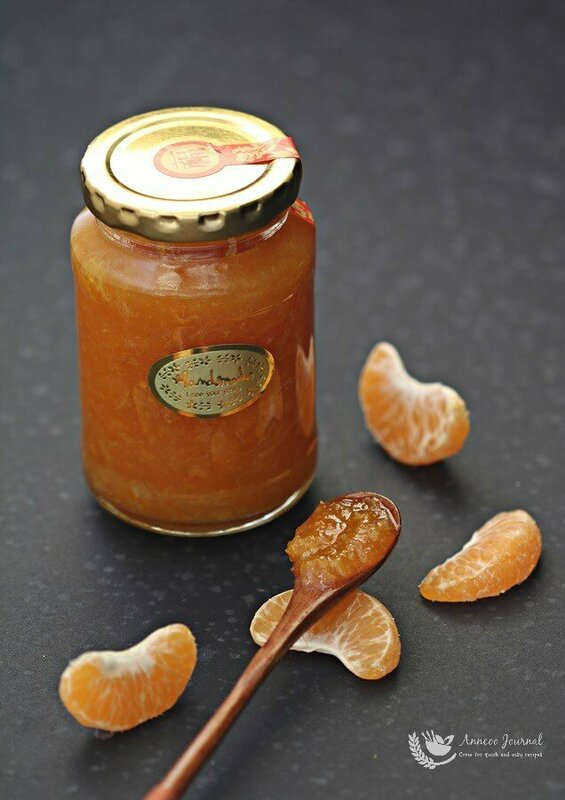 Nice Ann for this marmalade recipe. 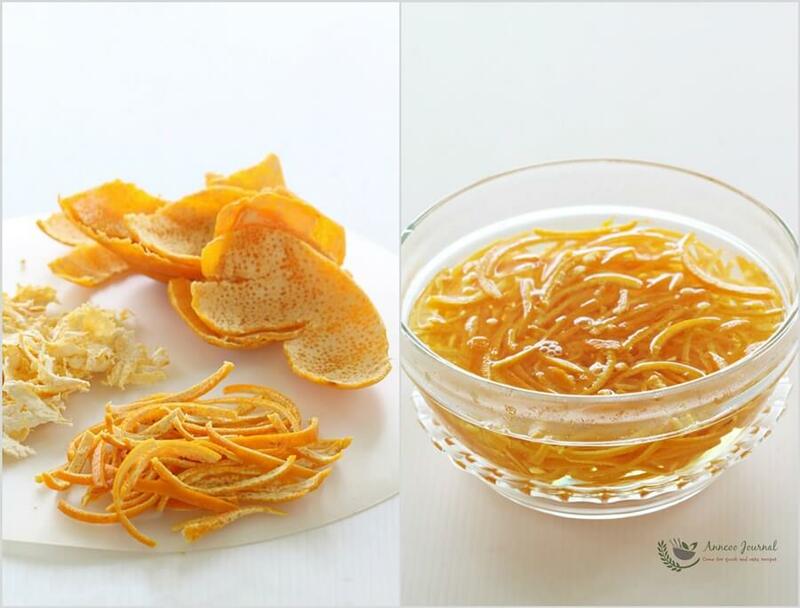 I don’t have any leftover mandarin oranges but would love to make this right away. Will see if I can get some leftovers from the stores to make this jam.